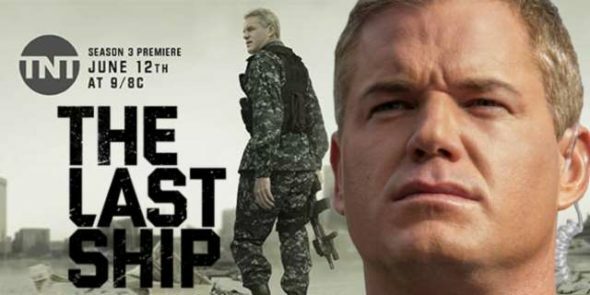 The third season premiere of The Last Ship TV show will not air tonight on TNT, out of respect for the victims of the Pulse nightclub massacre in Orlando, Florida. Reportedly the premiere contains a scene involving a shooting at a Vietnamese nightclub. In the second episode, Rising Sun, Chandler must find a way to return to his old crew and investigate a dangerous new foe. What do you think? Did TNT make the right call? More about: The Last Ship, The Last Ship: canceled or renewed? This is more political correctness going amok. From the description (and from Tani’s description below), it seems that this episode has little in common w/that of Orlando’s awful tragedy and, thus, this is nothing more than the networks, like our Government, attempting to become the nannies of us children viewers (and citizens). Give it a rest, networks- we are grown people w/discerning minds (and a remote to turn the damn thing off if we do not like it or are suffering “intolerable, unbearable trauma”, btw!). stop treating everybody with kid gloves, try living through ww2 in great Britton. Show the programs and if you can’t take it , don’t watch it, stop trying to make decisions for the public! I think it should have aired. The main similarities are it was a shooting and it was at a nightclub. I feel great sympathy for what happened in Orlando, but the show is fictional and if people don’t want to watch it due to the similarities than don’t. At the very least only post-pone it for a couple weeks or so. I saw somewhere else online it may never come back, I really hope that’s not true because it’s such a good show. Shut down the news, to really spare victims! The previews for the Last Ship showed a night club where the cast was at and terrorists started shooting up the club. That is why it was postponed. It is a case of life imitating art. This is not art, please don’t belittle the subject matter by trying to influence us with metaphors. I don’t like what they did either to the series focusing on who caused it and then the poor people that didn’t . this did not need to happen my condolences to the victims but we all know that tv is make believe not real.. too much pc crap in this world. No I don’t think they did. Yes what happened in Orlando is an awful tragedy and my heart goes out to the people injured as well as the loved ones of those lost. I feel they should have aired it anyway. That and TNT hasn’t even said when they will air it now. If we had to postpone a show for every tragedy that happens, you might as well forget about TV and movies. This was done because the Liberal media demanded it. There’s a scene of a shooting at a nightclub in the first episode(or so I read somewhere). I’d rather not bring in politics, but this was the reason. There is no conservative/liberal media. It’s corporate/for profit media. If something is going to hurt ratings or profits it is done. Really?? Can you show me where ANY media demanded TNT cancel the new season? Yea, I didn’t think so. So this is your opinion, you don’t actually have any proof that the ‘liberal’ media demanded it. That’s what I figured. Was the episode set In Florida? Not set in Florida. It’s set in China, Vietnam, and in the water – and there are scenes in the US with the new president and some of his staff, one guy is going to turn out to be a problem, he doesn’t like the president and notes that the Pres was an Immune. Some people die in this – that that pissed me off, good characters – I can’t fathom why the writers would eliminate these cast members.